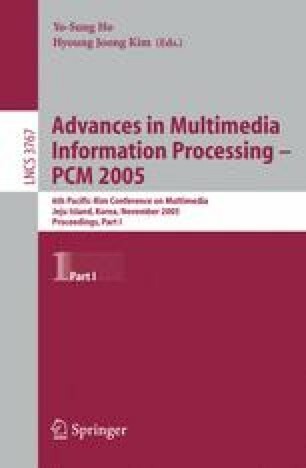 In this paper, we propose Responsive Multimedia System (RMS) for a virtual storytelling. It consists of three key components; Multi-modal Tangible User Interface (MTUI), a Unified Context-aware Application Model for Virtual Environments (vr-UCAM), and Virtual Environment Manager (VEManager). MTUI allows users to interact with virtual environments (VE) through human’s senses by exploiting tangible, haptic and vision-based interfaces. vr-UCAM decides reactions of VE according to multi-modal input. VEManager generates dynamic VE by applying the reactions and display it through 3D graphics and 3D sounds, etc. To demonstrate an effectiveness of the proposed system, we implemented a virtual storytelling system which unfolds a legend of Unju Temple. We believe the proposed system plays an important role in implementing various entertainment applications. This work was supported in part by CTRC, and in part by MIC through RBRC at GIST.